If there’s one thing that’s as old as shopping for Christmas, it’s a nagging worry about turning a religious observance into a frenzy of debt accumulation. It’s a sentiment that reaches back to when America was a backwater and the celebration of Christmas went from drinking and carousing to shopping and gift-giving. So what happened to Christmas in America? Jacobson, a cultural historian, noted that it was a confluence of influences, a kind of changing of the Yule season. 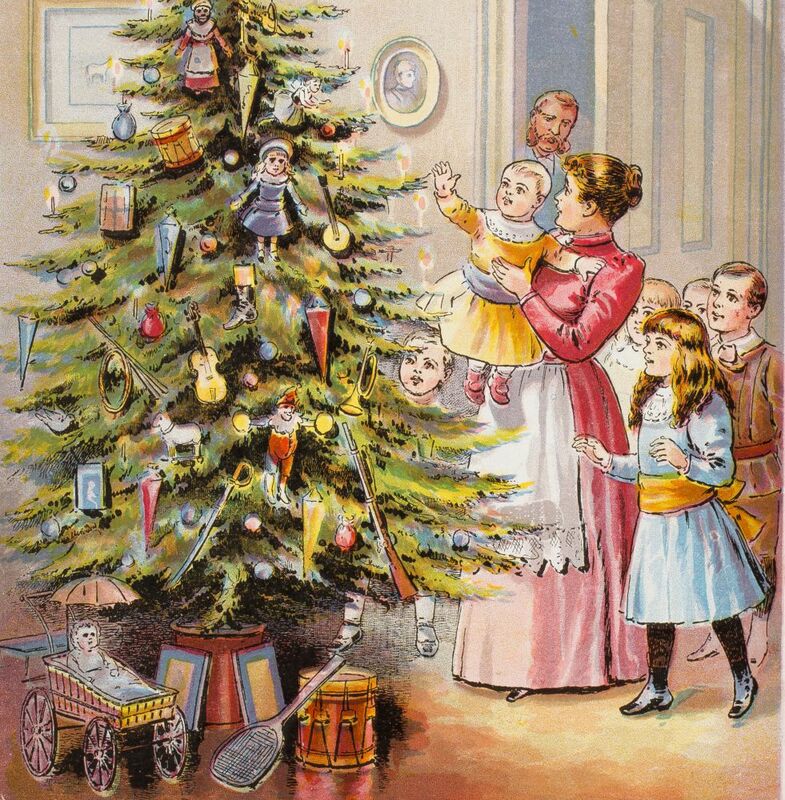 Before the 19th century, Christmas was spread over several days. “There was a lot of carousing, a lot of drinking, especially in the mid-Atlantic states and the South,” she said. The highlight — when gifts were exchanged — came on New Year’s Day. But, as President Calvin Coolidge would say nearly a century later, “The business of America is business,” and the country’s retailers would come to see the holidays’ potential for profit. They recognized, Jacobson said, that they had a genuine merchandizing opportunity, and that the holidays would create their own spending season. Even Santa Claus got a makeover. Originally he was a benevolent gift-giver who rewarded children who’d been good, Jacobson noted. But he was also a stern disciplinarian who punished bad children by whipping them with switches. Later in the 19th century retailers abandoned the judgmental Santa and made him a the jolly gift-giver we know today — the perfect symbol of consumer abundance. It should probably be no surprise that children and family play a big role in the evolution of Christmas. In middle-class families, Jacobson said, children are a kind of precious burden. “By the mid-19th century the middle-class child, in fact, became a net economic drain, but was seen as emotionally priceless,” she said. “And so if you have an emotionally priceless child in this increasingly sentimentalized family it becomes more appropriate to spend money on that child. But what about today? How do we square a religious holiday with scenes of people trampling one another for the chance to buy a cheap TV at a Black Friday sale? Have we traded Santa Claus for Darth Vader? Jacobson says no. “In the late 19th, early 20th century,” she said, “people overcame their ambivalence, not because they were embracing the dark side of excessive commercialism, but because they saw the ways in which gift-giving could become attached to other values that they deeply cherished. For example, the department store owner John Wanamaker was a religious man, and he created all sorts of spectacles in his stores to lure people in. But at Christmastime he also staged store sing-alongs and printed Christmas hymnals for customers that featured religious carols and included a religious message in them.